Google’s parent company has turned to two unexpected resources of salt and antifreeze in order to endeavour in storing renewable energy. Alphabet which is owned by Google has been working on a project known as `Malta’ in storing renewable energy which would else be wasted. If the same tends to be effective, the system would be placed almost everywhere thereby saving millions of megawatts of energy which tend to be present lost all over the world annually. According to a report in Bloomberg, the mysterious X division of Alphabet has been operating on the `moonshot’ project Malta. 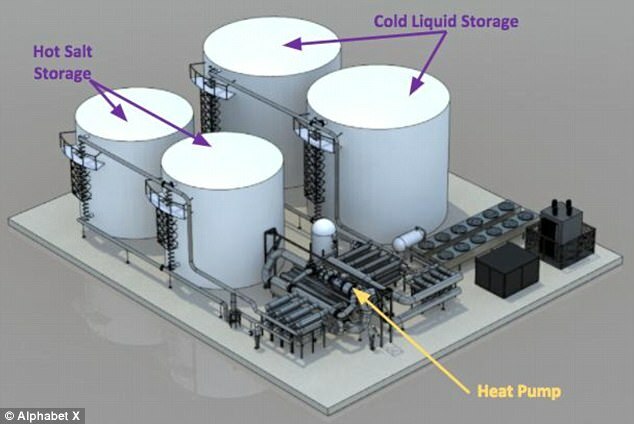 The system has the capabilities of lasting longer than lithium-ion batteries and can compete with the other clean energy storage systems according to X executives and researchers. Obi Felton, director at X while speaking to Bloomberg had mentioned that if the moonshot factory gives up on a big important issue like climate change, then probably it would never get resolved. He added that if they do begin resolving the issue there would be trillions and trillions of dollars in market opportunity. According to Ms Felton, the team of 10 researchers are now on the lookout for partners, in order to build and operate a prototype to the grid, though Malta has not yet been an official X project. Huge amount of energy seems to get wasted every year since there is insufficient means of storing the same. For instance, California had wasted 300,000 megawats of energy in the first half of this year that had been produced by solar panels and wind farms, while Chine threw out over 17% of its produced energy as per Bloomberg New Energy Finance. The Malta system seems like a small power plant having four tanks that has been linked to a heat pump. X states that the system tends to come in several sizes ranging from the same size as a garage to a full-scale traditional power plant based on requirements. Julian Green, the product manager for Malta describing the system to Bloomberg had stated `to consider it at a very simple level as a fridge and a jet’. Two of the cylindrical tanks are said to be filled with salt while the second two seemed to be filled with antifreeze. The energy is said to be taken in the system by way of electricity which is thereafter revolved into separate streams of hot and cold air. The hot air is said to heat up the salt and the cold air tends to cool the antifreeze. In order to re-generate the energy, the procedure is inverted in order the hot and cold air rush towards each other thereby developing powerful winds which spin a turbine and produce the energy that is utilised. The system has the potential of storing the energy for days based on the amount of insulation. Mr Green had commented that the thermodynamic physics seem to be quite popular to all who had studied adequately at college level. The project has now the support of Robert Laughlin, a Nobel prize-winning physicist whose research is said to be the foundation for the system. Laughlin had commented that `a blessing came out of the sky. X came in and took a giant bite out of this problem’. It is not known when the system would be ready for set-up. Google is known to be a progressive company and many are aware that it has been tweaking its algorithms on improving its search engine or bring new services to the users. Google has unveiled its new logo and since 1999, has recently introduced the new sans-serif and slightly toned down four colour logo in the biggest redesign. The tech giant states that the new design would be seen all across its products a month after a major restricting of the company gave rise to the company, Alphabet. Google’s homepage had introduced the redesign with an animation which had wiped the old logo and had drawn the new design. The company had mentioned in a blog post that it had changed a lot over the past 17 years from the range of products to the evolution of their look and fee and today are changing things up once again’. The company has said that the redesign was meant to reflect the way people interacted with Google products on the various platforms, app as well as devices. Moreover, it not only tells you that one is using Google but also portrays how Google tends to work for you. For instance, latest elements such as a colourful Google mic enables in identifying as well as interacting with Google irrespective of whether one is talking, tapping or typing. In the meanwhile, they are eliminating the little blue `g’ icon with a four colour `G’ which tends to match the logo. The logo is said to have gone through several small changes in its history and the colours have changed. The new logo is still a colourful typographic which tends to feature six simple letters on a plain white page and “Google” has been written in a brand new font. The 3D letters seemed to have been flattened with an exclamation point that came and went in 1999. The move came up after a month of the major restricting of the company had been unveiled. Google is presently owned by Alphabet, a holding company that was developed by founders – Sergey Brin and Larry Page in order to separate their money making search engine company from the unprofitable `moon shot’ projects such as robot cars, medical research as well as the internet delivering balloons. The company had also mentioned in its blog post that this was not the first time that they had changed their look and would probably not be the last though they presume that the latest update would be a great reflection of all the ways Google works across Search, Maps, Gmail, Chrome and several others functions. Earlier, the company had said that it would restructure its business as a collection of companies under its newly created parent company, Alphabet and the largest subsidiary under the new firm name would be the core Google search as well as advertising business that would continue to house, Android, Maps and YouTube. The new logo of Google is said to be rather differentiating. Some consider it to be beautiful in its simplicity, is san-serif unlike the old one and is completely two dimensional instead of the drawn to look three dimensional. Others state that it too basic and off-putting. The Verge states that the reactions to the logo tend to go from positive to negative quickly and so far, reactions have been all over varying from joy to disgust mostly from the same person within a short span of time. 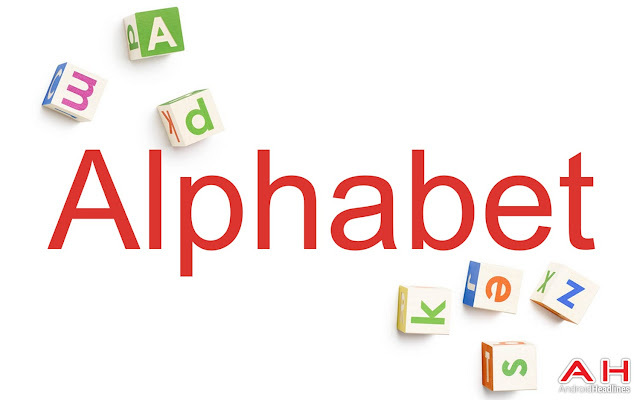 Google took the world by surprise when it announced its creation of a new parent named “Alphabet Inc”. Google had made it clear at the announcement that this particular entity is intended to build any products and brands. However many companies having similar name were quite taken aback with this development and viewed it as a potential trademark infringement instance if Google goes further by bringing in products and services under this brand name. Google founders Page and Brin had cunningly given the name Alphabet to its newly created parent entity, which will specifically house the Google search business along with other smaller holding. Among the smaller holding, the most important ones are Nest, which is a maker of smart thermostats, Calico, which is focused on longevity and a division, which focuses on developing smart contact lenses and driverless cars. Alphabet is rather a common name, which finds itself in many derivates and moderations among the companies listed in US and worldwide. Within US there are 103 trademark registered which includes the word Alphabet or in some other variations as per the database with U.S. Patent and Trademark Office. These registrations had been done by companies coming from various fields such as computer games, furniture, clothing label, books, toys, children accessories makers and others. On Wall Street, there is a company which goes by name Alphabet Funds. Another company Alphabet Energy in Hayward, an Alphabet Plumbing in Prescott, an Alphabet Record Company in Austin along with numerous inns, restaurants and preschools using Alphabet in its name with different variations. BMW a premier carmaker already has a robust subsidiary car division named Alphabet, which manages the fleet management at BMW. On a good note, it already possesses the premium domain name alphabet.com. There are chances of Google finding itself broiled into trademark infringement by using the same name and providing similar kind of services to the end users. Since Google is not going to offer similar goods and services there is no likelihood of creating confusion among the consumers at the moment. During the announcement, Google CEO Larry Page had made it clear that the new parent company namely Alphabet is not intended for creating a big consumer brand with related products rather it will provide the independence in creating and developing their own brands. Regarding the choosing of name Page emphasized that alphabet actively represents a language and it even signifies “core of how we index” in a Google Internet search. Google had even experienced legal over intellectual property in the past. Google is frequently targeted by the companies, which claim it off aggressively violating their patents. Currently Google is handling a severe copyright battle with the Oracle Corp exclusively over the royalties, which are used in the Java programming language and being used by Google in its Android operating system.